All the big doings at Morning Bray Farm this weekend have me reminiscing about George's and Alan's early days at the 7MSN. Here is a post from October 2008, marking our first anniversary together. 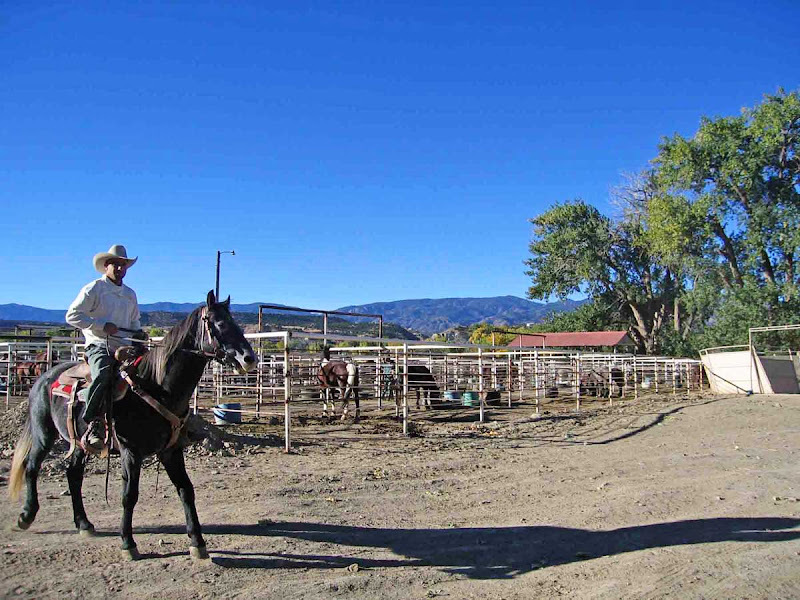 Today is the one-year anniversary of George and Alan's arrival at the 7MSN Ranch. While we're out celebrating with carrots, carrots and more carrots, we present for your enjoyment a pictorial review of the last 12 months. 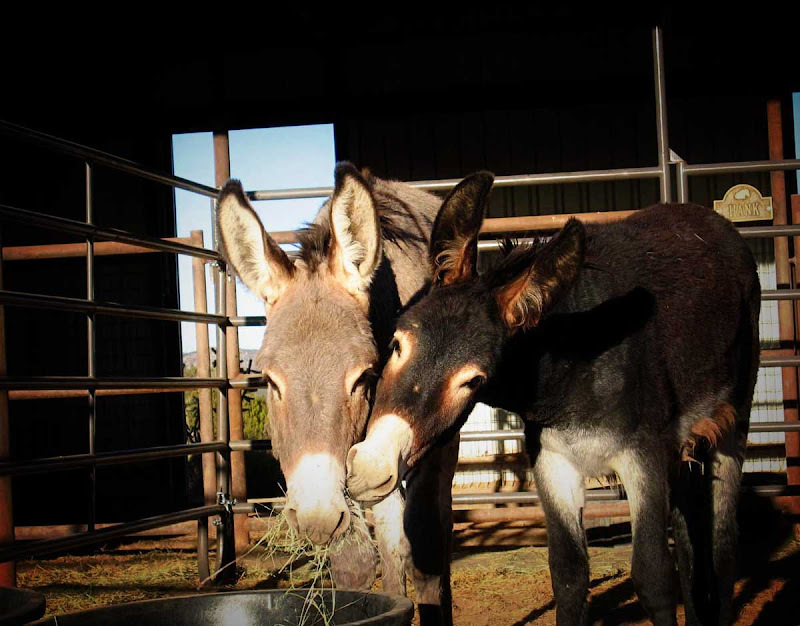 Some of you who have been following this blog from its inception may recall Rancher-woman's motivation for adopting two BLM burros. She had applied to be on the CBS program Survivor and was not chosen. 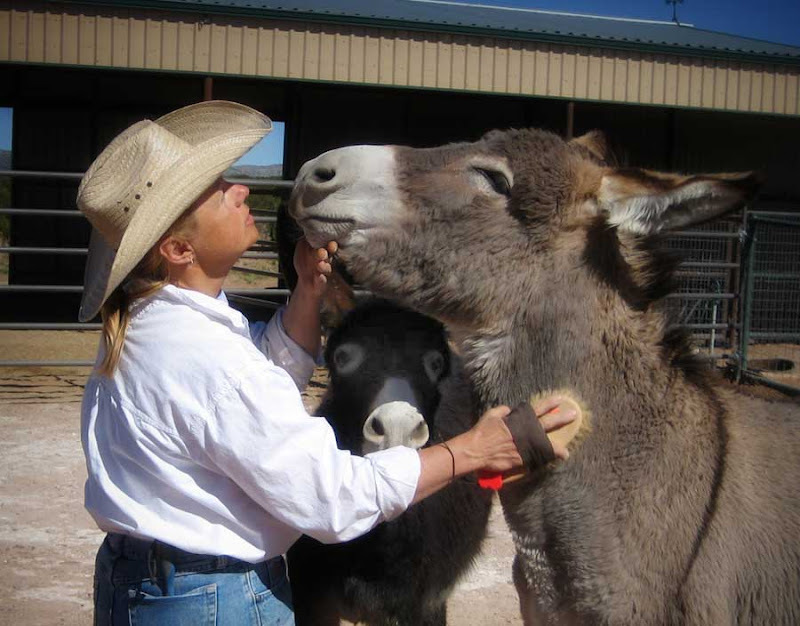 The burros were her consolation prize to herself. 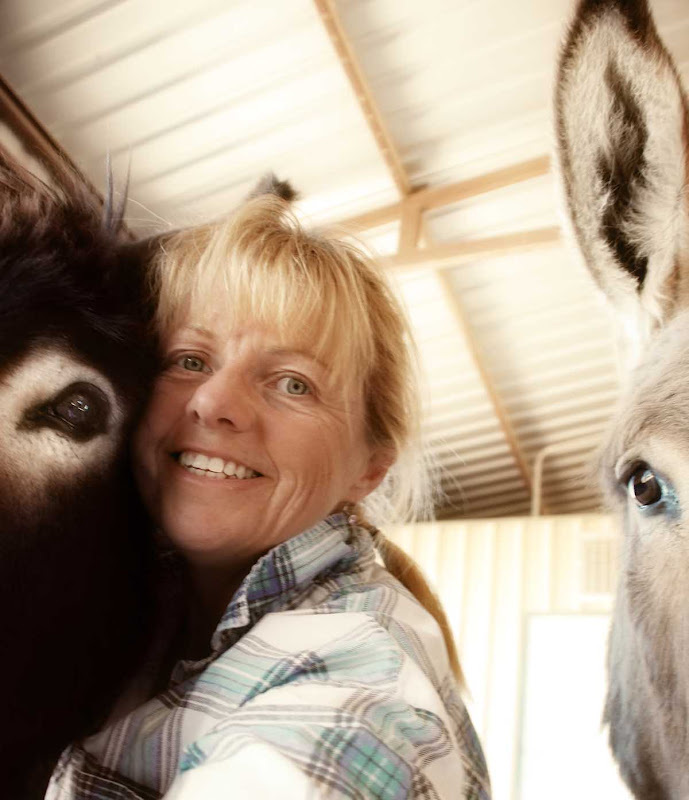 She arranged the adoption over the internet with the BLM office in Canon City, Colorado, then she and Smooch took a road trip to pick them up. The Canon City BLM facility is located at the state prison. See this handsome cowboy? Prisoner. The story of my life...married, gay, or felon. 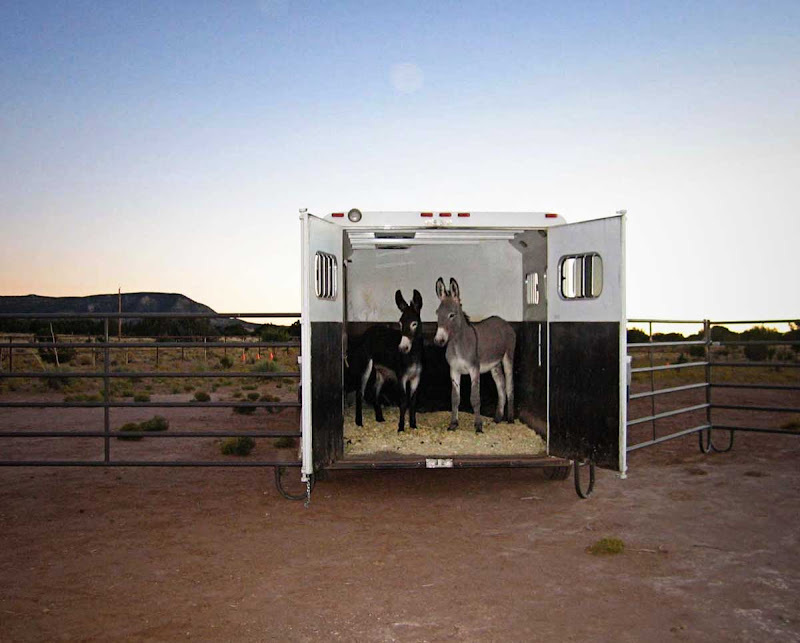 The first time Rancher-woman got a good look at George and Alan was when they were in her horse trailer. And it was love at first sight. 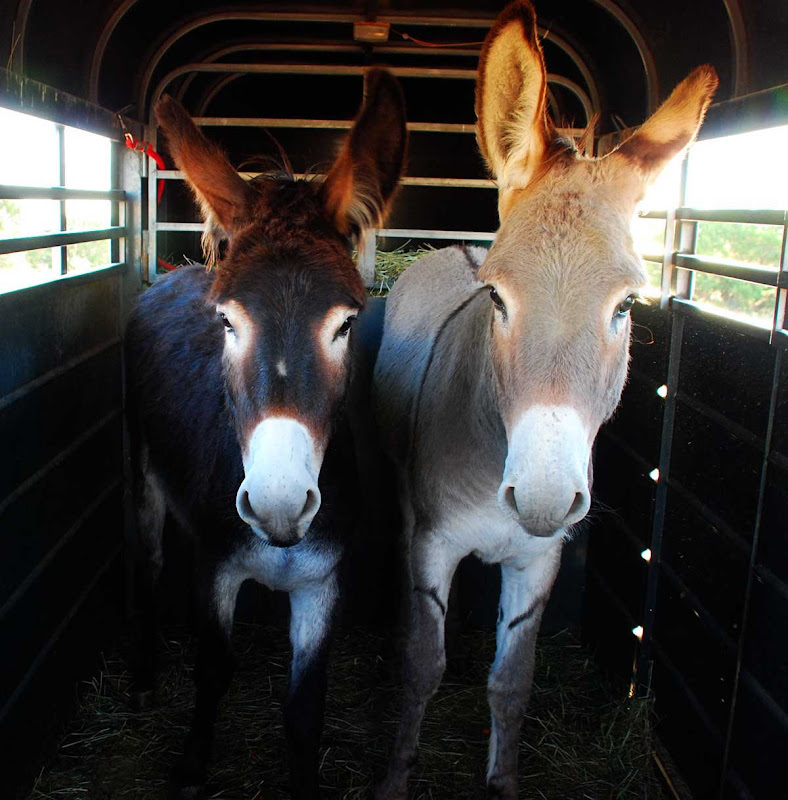 Even after nine hours on the road, George and Alan were in no hurry to leave the trailer once they arrived at their new home. They were a little skeptical of this new world they would be stepping into. But by the next morning, they figured out that the room service was decent, the food was pretty good, and maybe they could get used to this place. George was a friendly little guy from the minute he stepped off the trailer. Rancher-woman could touch him, stand near him, and even hug him. Alan was another story. He was curious, but there was no way he would let any human get close. Rancher-woman kept them in a quarantine pen for several weeks. When she released them into the corral the first time, she got a glimpse of all the fun to come. They ran laps, chasing each other and leaping into the air with abandon. After a few months of over-the-fence contact with the horses, it was finally time to let all the boys out in the pasture together. Hank let everyone know he was in charge, and there were no altercations. 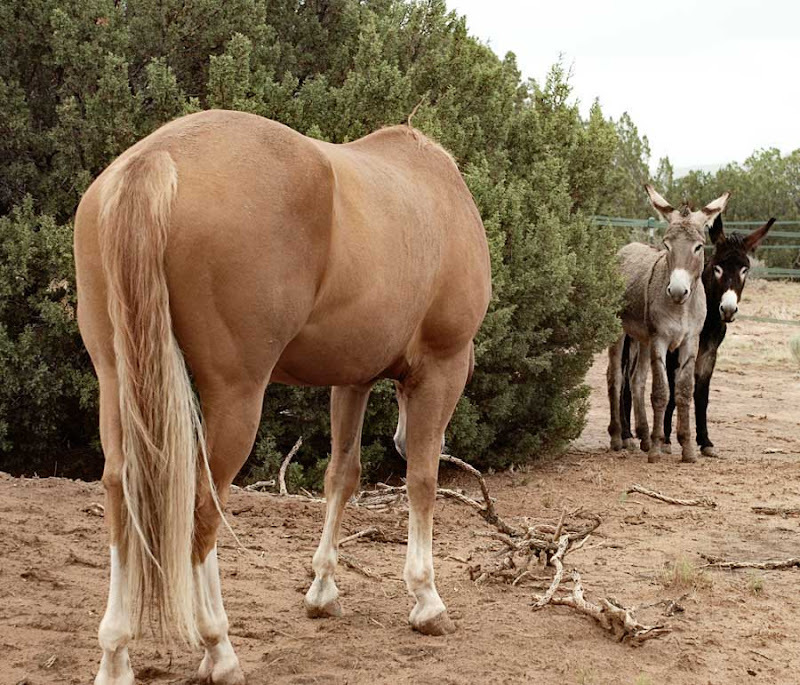 Rancher-woman's new hobby became hanging out in the corral, waiting to see what George and Alan would get into next. The new herd dynamics presented endless photo opportunities. By the end of winter, Alan remained as curious as ever, but much to Rancher-woman's dismay, she could not get close to him or handle him as she could George. Alan needed his hooves trimmed and his spring vaccinations, so Rancher-woman had to come up with a plan to tame the wild beast. 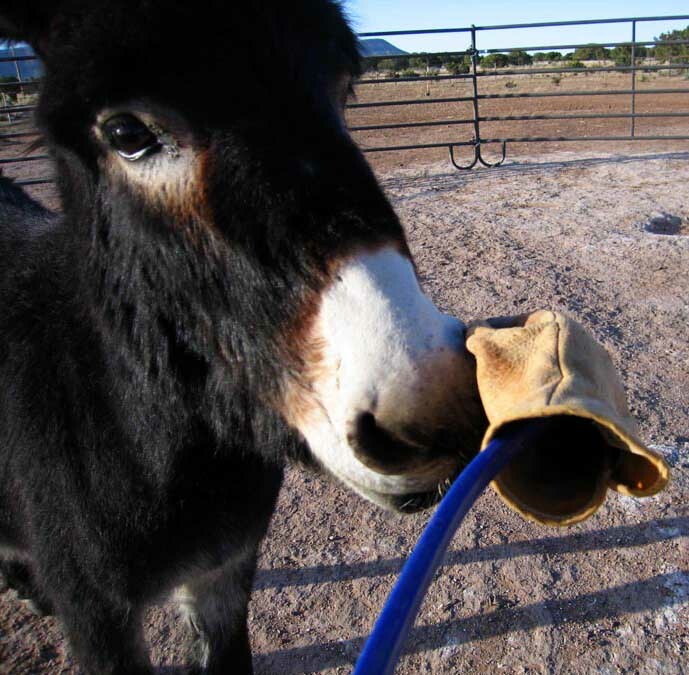 She decided to give clicker-training a try, using an old glove she named Chuck as her training tool. Almost overnight, Alan transformed from his wild self to Rancher-woman's shy little best friend. 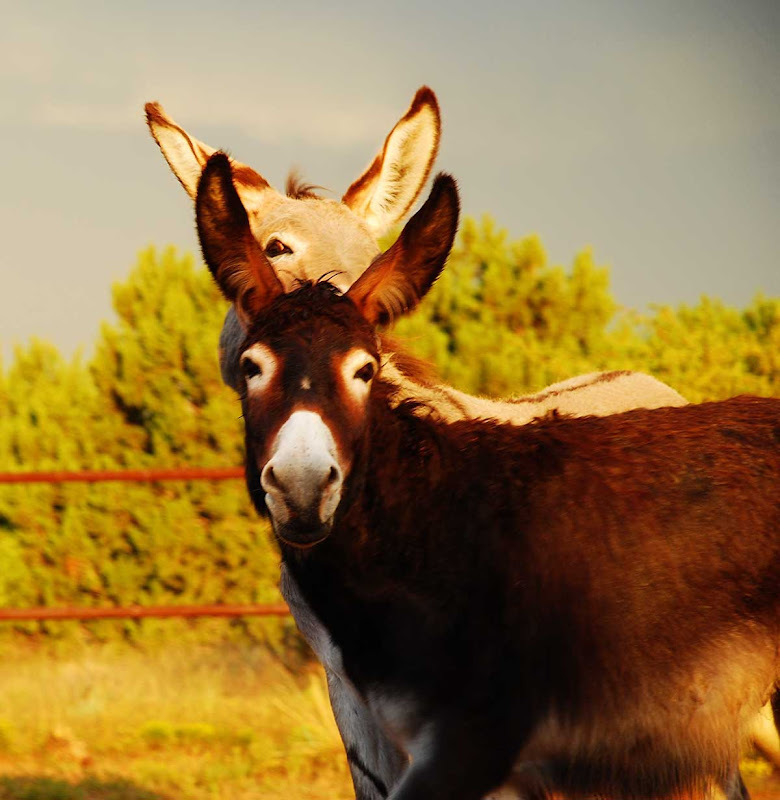 ...and starring in their own burro ballet. And they learned to love modeling whenever Rancher-woman pulled out her camera. 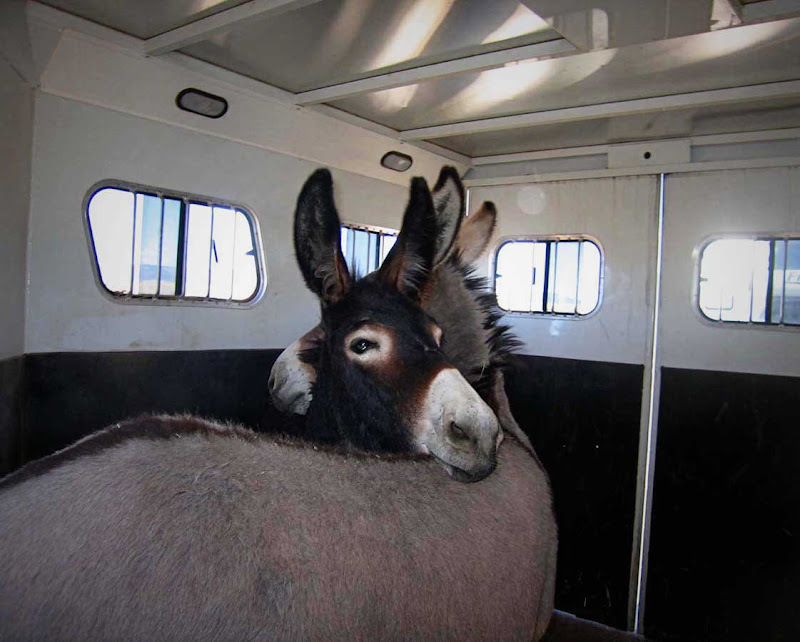 They taught themselves to load into the trailer (click here for the video), and put on a brave face for their first trip to the vet. Come on, George. Can we gather 'round for a group hug and anniversary picture? So this is our half-assed attempt at a family portrait on this very special occasion. Thank you for following our journey. 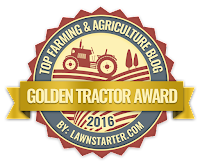 We look forward to sharing our next year's adventures with all the new friends we've met through this blog. I honestly didn't realize that it was a year ago TODAY that George and Alan came home. That is simply too cool! Happy one year to you guys, and to you too Carson. It was fun going down memory lane in this post! DUH ... open your eyes Pat, drink some coffee, wake up AND read the post word for word!!! Sorry about the mix up, but still it's been a joy since the boys arrived at 7MSN! So this is how the boys came into your life, huh? Soooo cute. They're both born to model. I like the family portrait too! They and you have given the world a great gift...joy! I love to see what goes on at 7MSN and have joined up with Morning Bray after brave Ellsworth's rescue. Kudos to you, them and all the four-leggeds who contribute to the fun! To us newcomers, this was fun to see how this came to be. 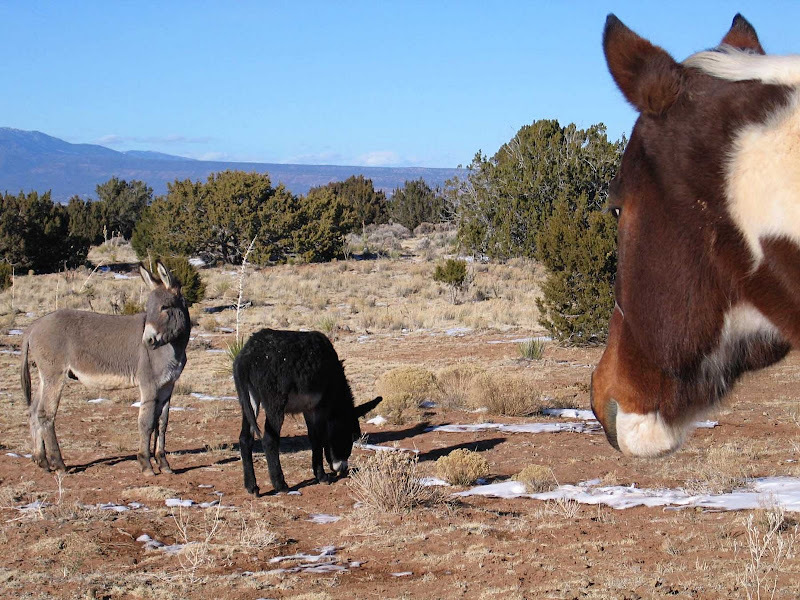 You really do make readers want to run out and get 2 burros. Now how can I find a new way to word this..I have said "love your pictures" enough times..
Congrats! I love the tongue picture, that was priceless. You look real happy and I have had fun visiting and reading all about Alan and George! I wasn't reading your blog back then, and loved getting a glimpse into the beginning of George and Alan. 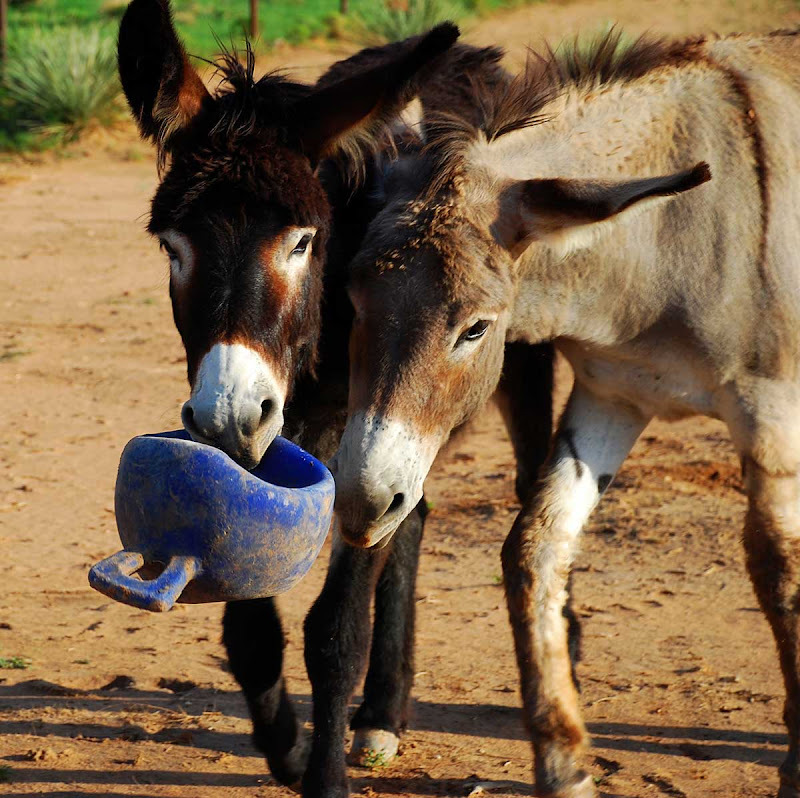 What lucky burros to get picked to go home with you! 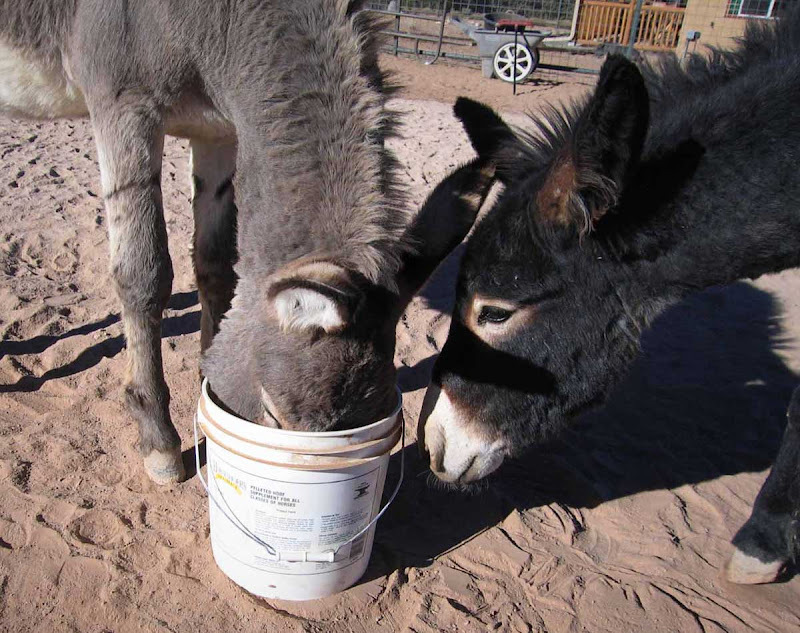 They definitely won the burro lottery that day! What a home George & Alan have! Would that all animals were loved and cared for like yours, 7MSN! Happy 1st Anniversary! Hmmmm, I think you won "first prize"! I would not trade those delightfull "boys" for all the TV contests on the airwaves!!!! All of these photos are wonderful, but the one of (little) George and Alan looking out at their new home from the trailer just grabbed at my heart! I love these Saturday encores. What a wonderful life you have with George and Alan. They are full of joy. Thanks for the "encore," from a newcomer. Wow, those two have come a long way, haven't they? Great family portraits! Now, how about some chicken updates? You brought happy tears to my eyes Carson. I love George and Allen! 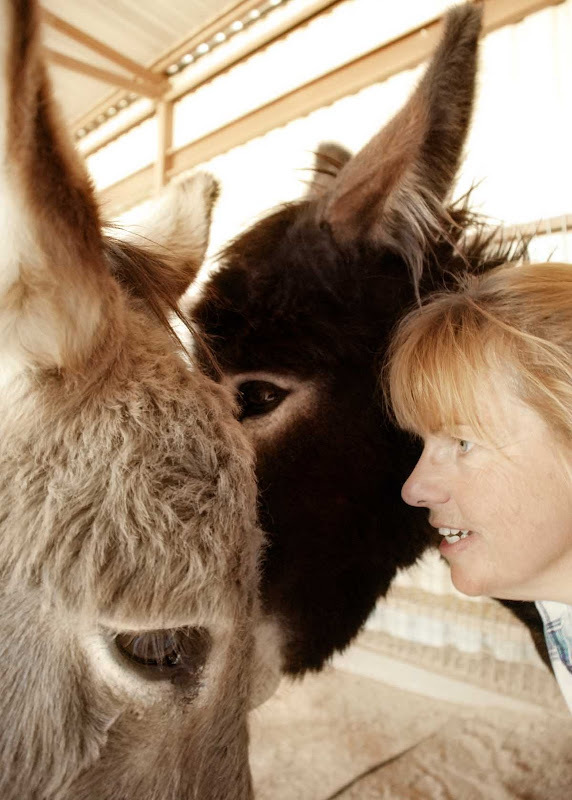 Your story is an inspiration to me and my husband and I can't wait for the day when we can move out of Phoenix to a ranch in the middle of nowhere and get our own burros. 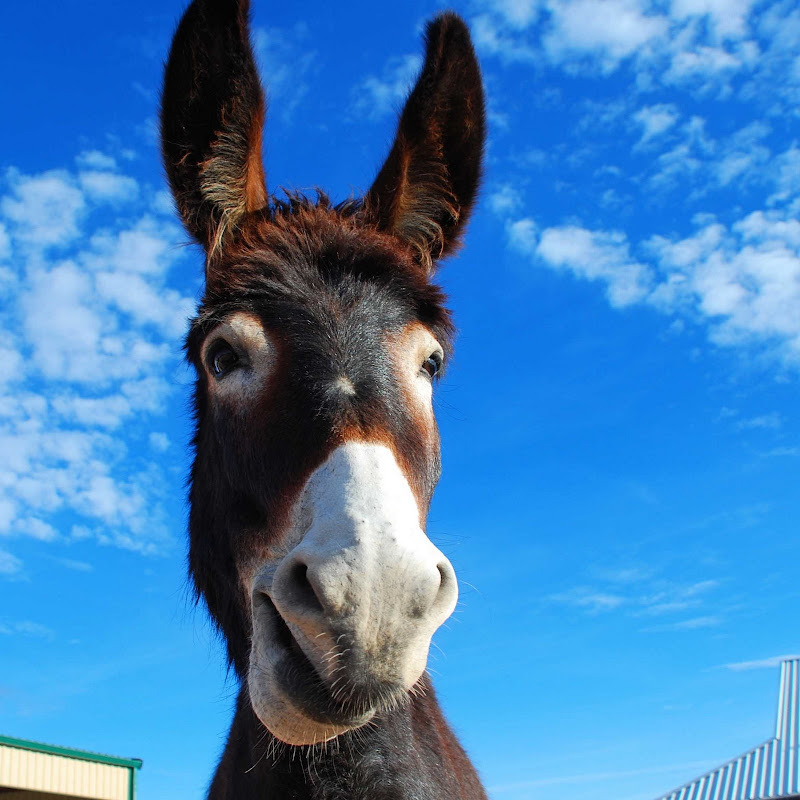 Really enjoyed the rundown of the first year in your donk family! Definitely a time for celebration!! Congrats to you, Alan and George, and a wish for a continuation of nothing but a long and happy relationship!! This is such a wonderful story. It definitely put a smile on my face for the rest of the day. Thanks for sharing! 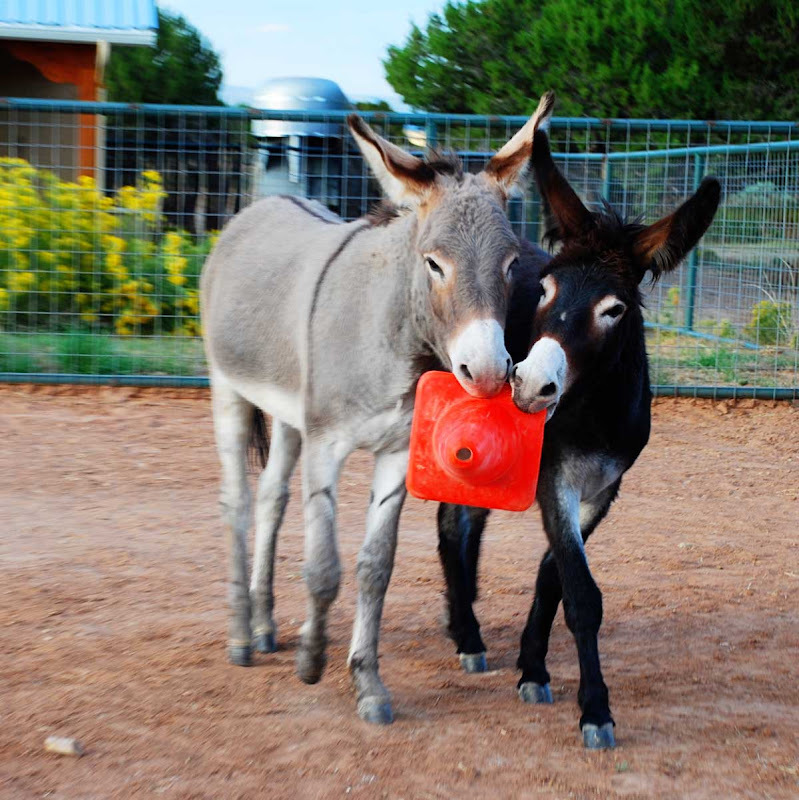 They are two of the cutest burros I have ever seen! I love seeing their antics! through your pictures, I look for more to come! 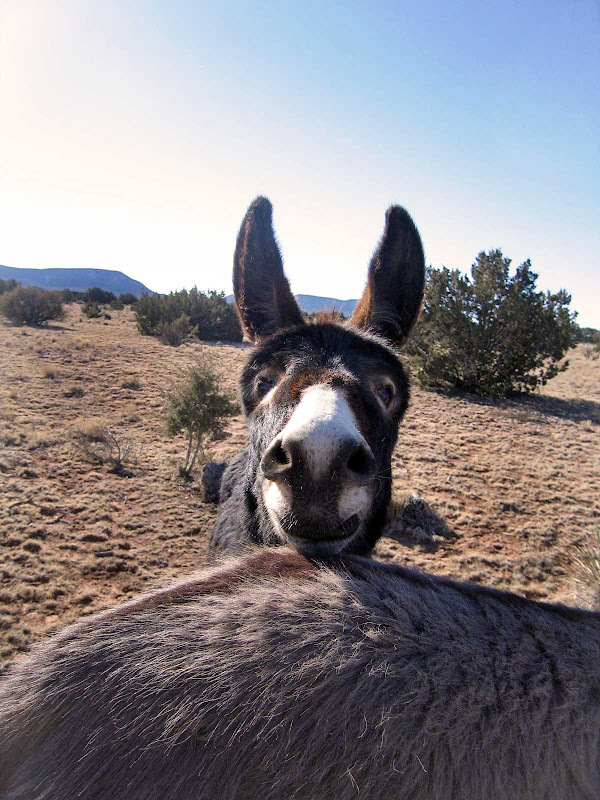 Let's declare today National Burro Day! So much going on here and over at Morning Bray!! I know you are excited to go over and meet the new boys - give them hugs and kisses from all of us!! Love, sweetness, a great history and beautiful pictures! It's always a good thing to look back and see how far you've come. How dare they not choose you to be on Survivor! hehe I for one couldn't even dream of doing it, but as always, you impress the hell out of me. What a consolation prize. I think you won. 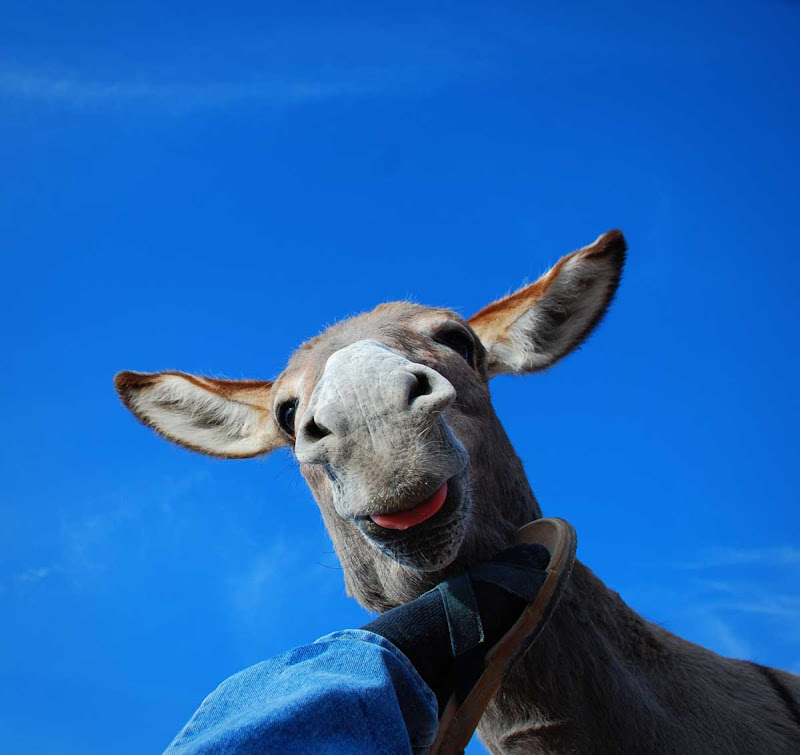 I so enjoy your burro's so much. Now as a pretty recent follower, can you tell me/us that don't know, how you got Deets? I loved the story and the chronicle of your time together. Those boys are just as adorable each and every time I see their photos. I love hearing how you and your boys got together. Alan looks like a larger version of my mini donk, Russell. They are the friendliest critters-my hubby thinks they are better than dogs! I hope you have many happy years together!